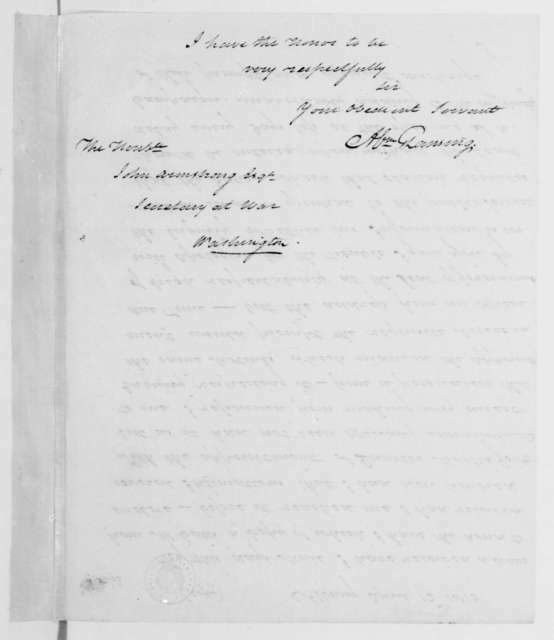 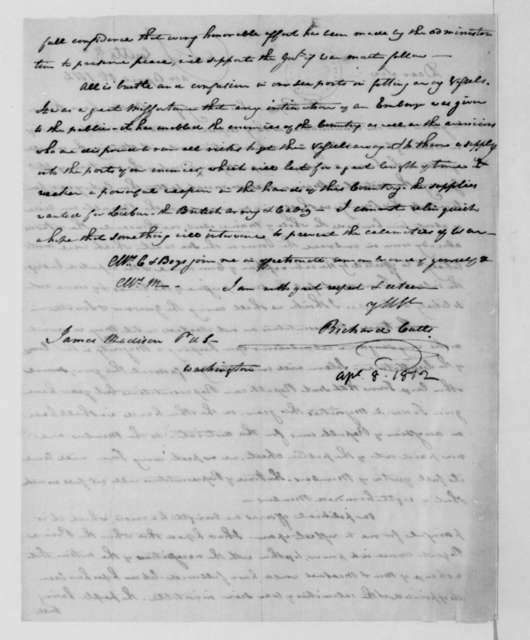 Richard Cutts to James Madison, September 28, 1829. 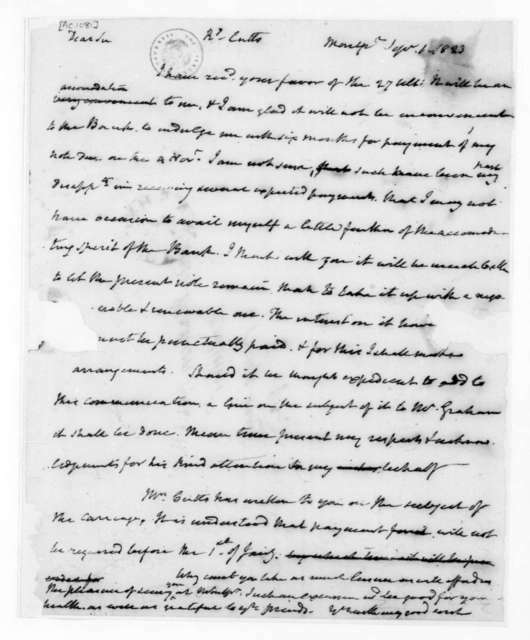 Richard Cutts to James Madison, April 1, 1817. 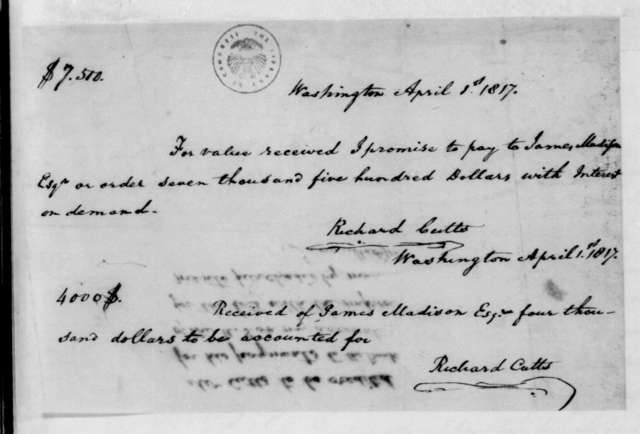 Receipt and Promissory Note. 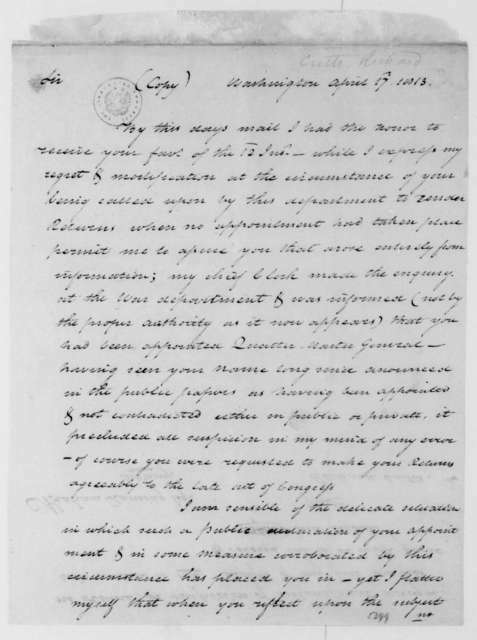 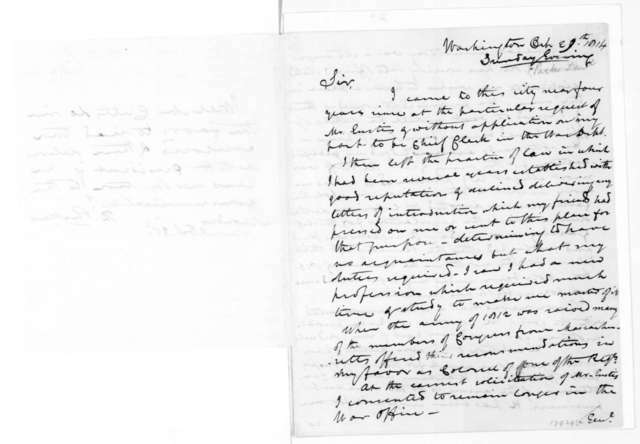 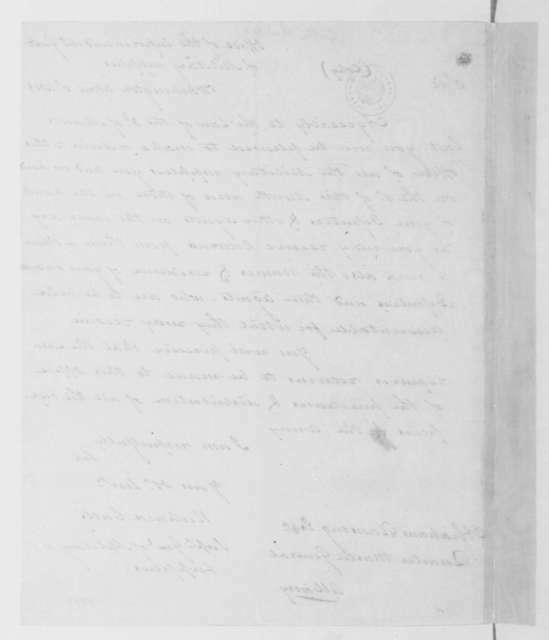 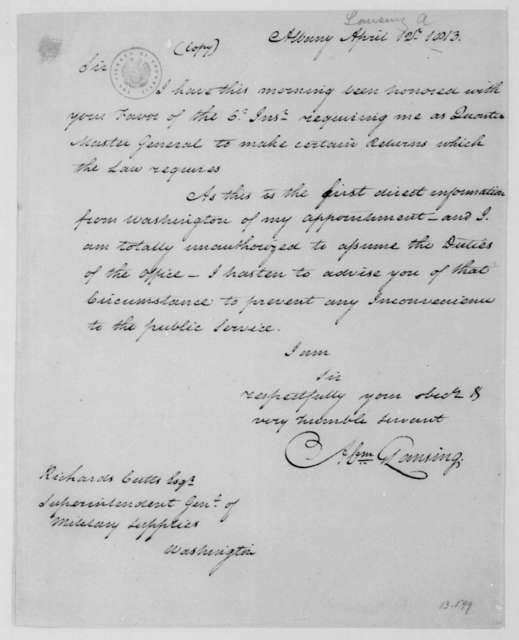 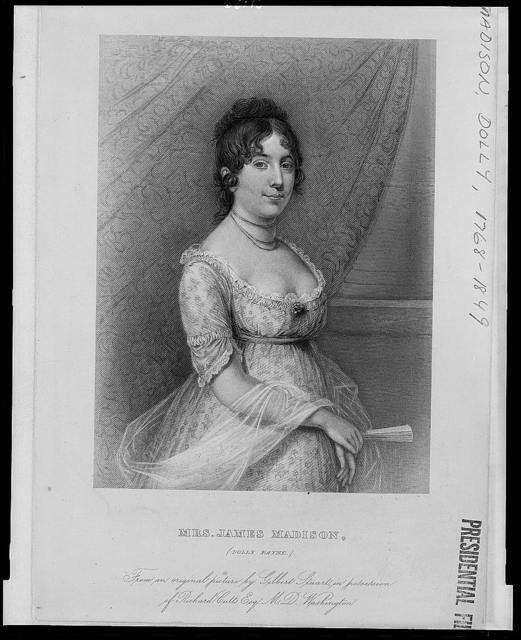 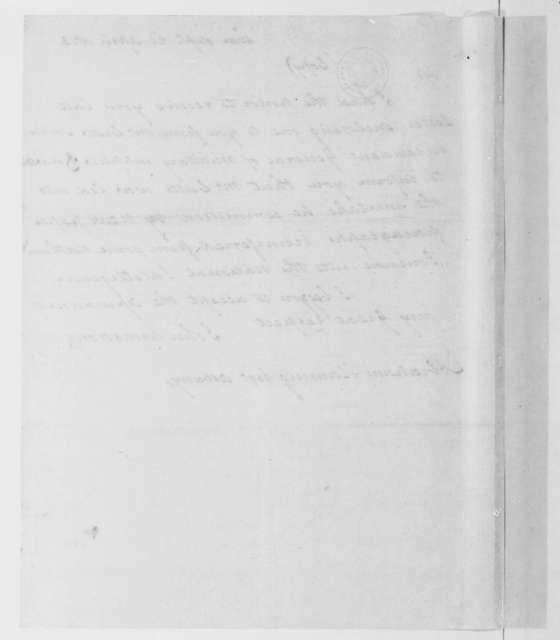 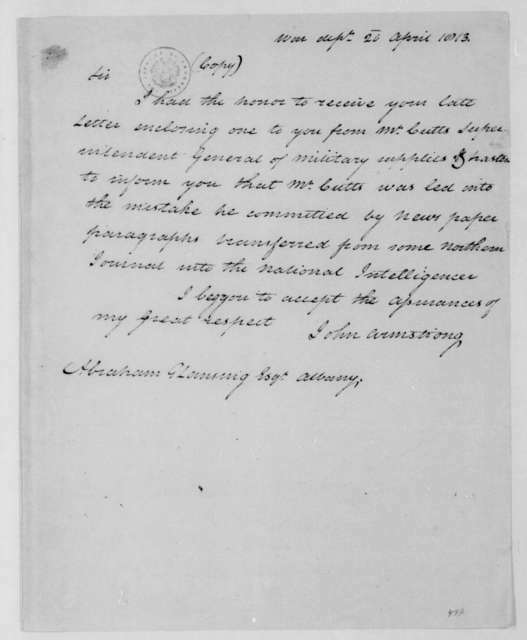 James Madison to Richard Cutts, September 1, 1823. 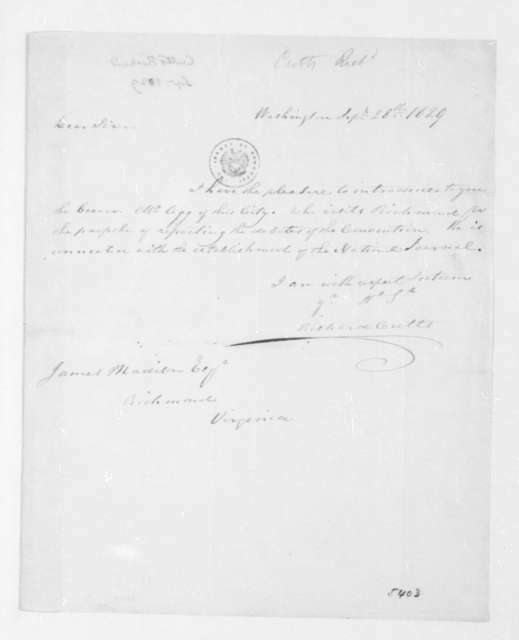 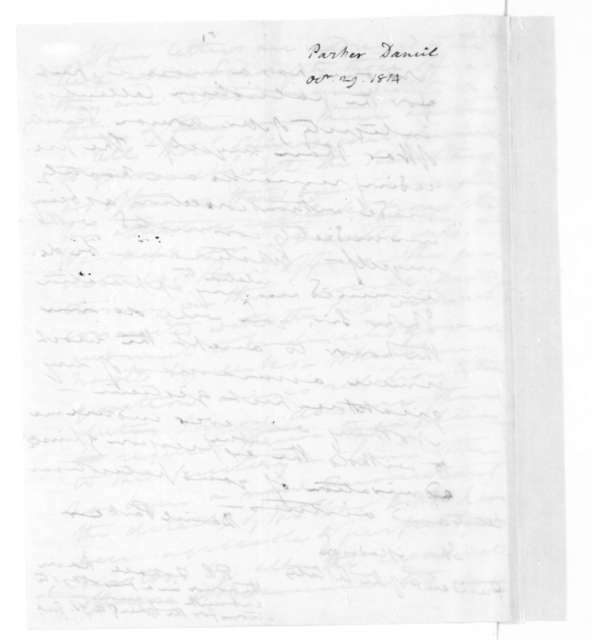 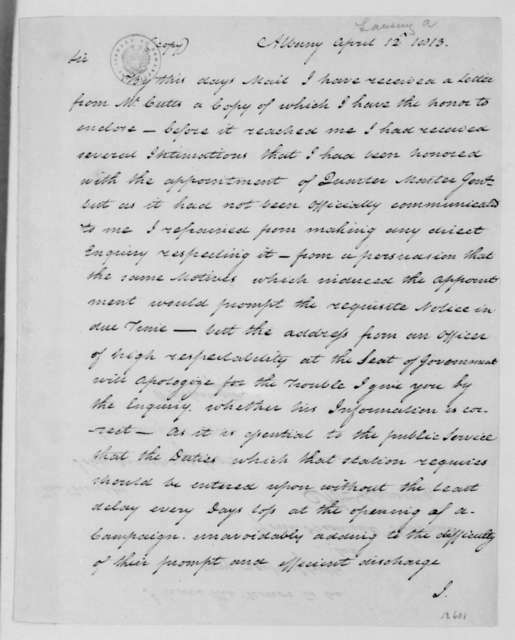 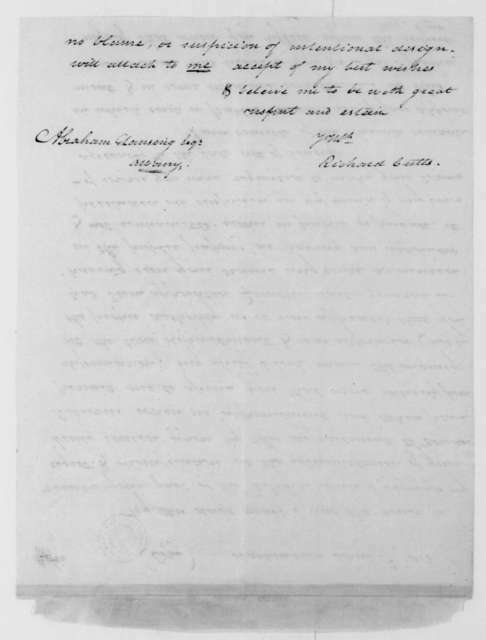 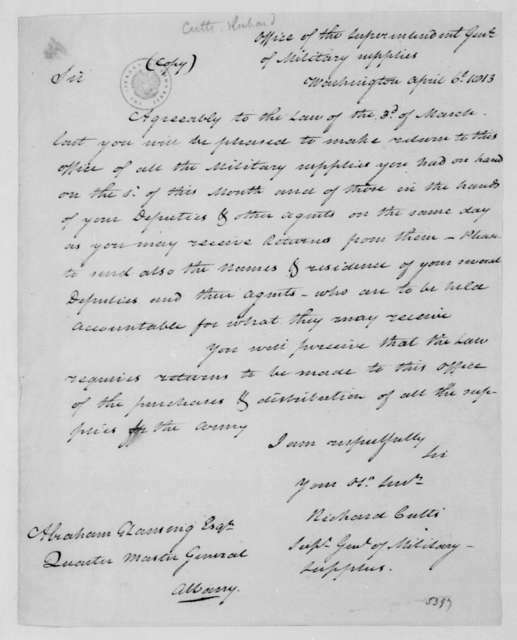 Richard Cutts to James Madison, April 8, 1812.